The Harbor | Rockwall Rocks! 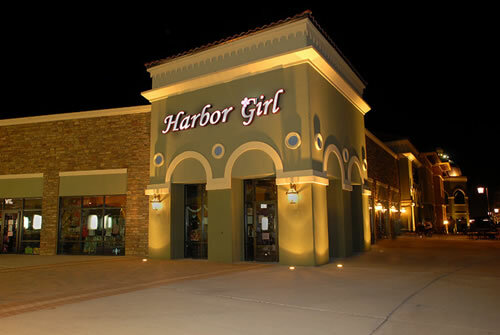 The company which developed and owns the lakeside entertainment and shopping district in Rockwall called The Harbor has filed for reorganization under Chapter 11 of the federal bankruptcy code. Twelve businesses have gone out of business since The Harbor opened in November, 2006. Seventeen businesses are currently open there. For more details about the reorganization, read the more complete story at TheRockwallNews.com. 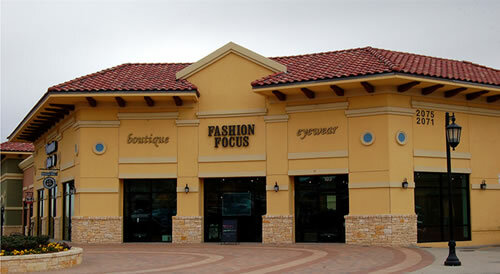 Still another business closed last week at The Harbor in Rockwall. Have I forgotten any? Seems like there was at least one more. Amazing is that The Harbor’s very own out-of-date website still shows photos of the closed Fashion Focus, Harbor Girl, L’Egantz and Savoy stores on their website, and lists L’Egantz as one of their existing businesses on its Shops page and Cote d-Azur on its Dining page. Guess even their webmaster can’t keep up! Plus the outdated “About” page doesn’t even tell viewers when the facility opened, and includes not a current but an old video produced before the Harbor was built showing what it’s going to look like from an architect’s view. So at least 12 have closed out of about 29 (41%) businesses which have opened there since it opened (as best as I can remember). Watch for a more complete story soon at TheRockwallNews.com explaining what’s going on at The Harbor, plus what its owners, City officials and store owners have to say about the future of this private/public enterprise. Any comments from readers are also invited to help us with the story! Rockwall City Council member Glen Farris sounds upset. After my editorial opinion last week stating that the million-dollar boat docks upgrade at The Harbor is a “bad idea” while so many people and organizations are struggling financially, plus the ensuing WFAA-TV News story the next day, Rockwall City Council member Glen Farris wrote on his GlenFarris.com blog Thanksgiving day that he is appalled with my implication that the Council should bail out a non-profit. First of all, I must clarify that the Rockwall Boys & Girls Club did not imply anything. It was just my opinion and mine alone. I’m not connected to the Club – just a big supporter. The Club did not ask me to write the opinion. Any implication is just by me, and no support should be withdrawn from the Club for my opinion. Secondly, as I admitted in my editorial, I have much to learn about the handling of city tax dollars and municipal bonds. Former Council member Bob Cotti tried helping out by emailing that the boat docks are being paid for by municipal bonds and they cannot be used to assist non-profit agencies. But as Council member Mark Russo told me two days ago, municipal bonds are really just loans from the bank which the City will then repay with tax dollars. So, as I therefore understand it, it is still tax dollars that are being used to pay for the boat docks. Now why should the City spend a million tax dollars to repair and expand from nine to 30-40 boat slips? What was the Council’s reasoning? And did Rockwall residents really have much of a say in the matter? Was it publicized that such a decision was being considered? According to Mark, there are two main reasons why the Council decided to spend the money now. First, the boat docks were not correctly designed and/or built in the first place by the engineering firm which originally built them (I’m working on getting their name). 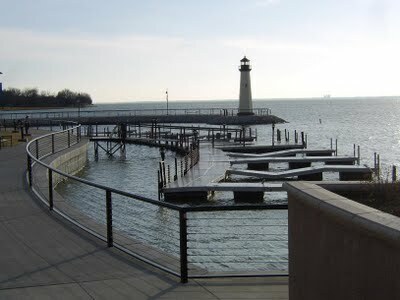 Fortunately the City had a warantee built into the contract, requiring the engineering firm to return to repair the docks, but their renovation still didn’t make it right. So the rebuild is now required because the docks are deemed unsafe. Among my questions are these: Should the taxpayers and City really have to pay for this renovation? How about holding the feet of the original engineering firm to the fire to pay for it – until they get it right? Is there no other recourse now for the City other than to borrow more money (tax dollars) to pay for it? Do we really have to hire Bellingham Marine to build it right? And, by the way, it’s my understanding that the contract was awarded to Bellingham without putting the contract up for bids. Is that even legal? I’m told by one Council observer that the City can sign contracts up to $25,000 without using the bid process, but not a million-dollar project. I’m further researching that matter now. But isn’t that just serving the minute portion of Rockwall residents who have boats? Is it really necessary to invest another million bucks so they can have somewhere to park their boats? Wouldn’t the money be better invested in more parking places for cars and trucks – thereby serving far more Rockwall citizens? And why weren’t more boat slips built in the first place? If the boat docks would have been built correctly in the first place, would all of this money have been committed to this expansion? According to Russo – admittedly just one council member – probably not! The thinking at the time was that if the City could get a good price now from a contractor – with the economy down – then they might as well do both. I’d like to hear the answer to that question from more City Council members and plan to ask each of them shortly. In conclusion, the way I see it, all of this discussion comes down to the basic issue of how successful the private-public partnership at The Harbor is, and whether more tax dollars should be spent there when so many businesses have left, so many store fronts currently stand empty and so few people are shopping there. It almost seems like a ghost town at times! Obviously the Council can’t let such an important development fail. 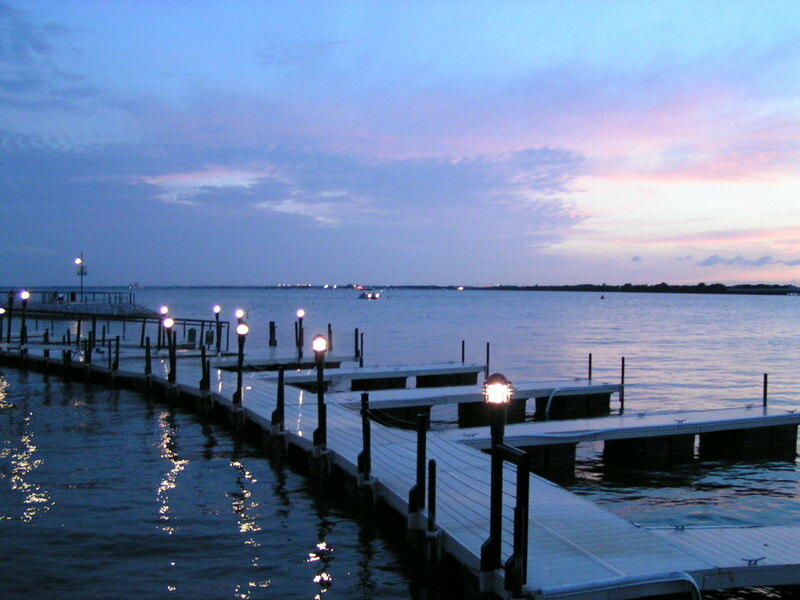 But is an expansion of boat docks really the answer? If we’re not going to assist non-profits (which the Council did just last meeting when it approved $20,000 for the non-profit Rockwall Committee On Aging) and really want to expand “economic development opportunities” (as Glen put it), then why doesn’t the Council ensure that The Harbor has an effective advertising and promotion campaign? A million-dollar ad budget would do a lot more to fill businesses with customers than boat docks. The Harbor also needs to recruit better businesses which will attract more customers. Lease rates of just under $10,000 per month for some store fronts also seem incredibly high! But the promotion of The Harbor is another story which I need to investigate further, so residents can better understand how our tax dollars are being managed and spent. From the digging I’ve done so far, I’ve been told that very few dollars are being spent regularly to promote it. In conclusion, Glen wrote that he wonders why RISD, the National Boys & Girls Club and the Rockwall Club’s board of directors were not included in the Channel 8 news stories, suggesting they all have some responsibility for the Club’s financial problems. Good points, Glen, which we will definitely investigate further! TheRockwallNews.com was the first news operation to break the news that the Club is facing a financial crisis, so we’ll follow up on their progress soon. We also plan to ask RISD and the National Boys & Girls Club what they’re doing to help keep the Club open, and we definitely will this week. We’ll let you know what we learn. I’ve heard a lot of talk around town between people questioning the Rockwall City Council’s decision Oct. 19 to invest nearly $1 million dollars into increasing the number of boat docks at The Harbor from the current nine to 35-40. Construction is expected to be completed during the summer of 2010. While I’ll admit that I haven’t taken the time to closely review the budget – which I’m about to do – I have to add my voice to those who think a million dollars for more boat docks is a bad idea right now, particularly during this time of economic hardship for so many families and organizations. I’m personally disappointed with the Rockwall City Council for approving such a measure. For example, the Rockwall Boys & Girls Club desperately needs $50,000 immediately to just keep its doors open. If the City Council really wants to invest where it’s needed, how about paying that amount and more to put the non-profit organization on better economic footing? Since opening here a couple of years ago, nearly 200 children daily now attend the Club after school. If the Club closes, where will these children go? National crime statistics show the majority of juvenile crime is committed after school, when many parents are working. The Boys & Girls Club helps prevent crime by offering children a safe place after school to hang out with friends, do their homework, learn about a variety of things, plus develop their talents and interests – with the help of volunteer mentors. The Club even holds pizza parties and stays open late Fridays until 10 pm, so parents can go out on a date once in a while. That’s good for marriages and might just help prevent some divorces. Another organization which needs funding is the Women In Need women’s shelter office in Rockwall. An average of five women a day – local domestic violence victims – seek counseling and assistance from WIN’s office in the Helping Hands medical facility. But WIN, based in Greenville, is paying about $50,000 per year to staff and operate it – including paying $500 per month for rent there. No Rockwall funds are currently used to operate the office, from what I understand from WIN’s Executive Director Roger Robertson. And WIN generates most of its income by operating three resale shops in Greenville. So Rockwall only has an office for domestic violence victims, thanks to the people who purchase items from Hunt Co. resale shops. That’s crazy! Rockwall can definitely afford to pay for an office to help abuse victims. And then there’s always Helping Hands, the city’s and county’s designated agency for helping those in need. The food pantry is bare right now. How about taking at least a few thousand dollars to pay for some more food for city residents who are out of work or ill? Yes, The Harbor probably does need more boat docks, so more boaters can party there during Summer concerts, and so more boaters can eat at restaurants there. And I probably need to better understand what the City can and can’t do with tax dollars. But I just think there are many better places to invest Rockwall’s tax dollars right now. For the past six years, the upscale Larry North Fitness Club in Rockwall has ben managed successfully by general manager Frizz Poe and Director of Training Scott Moerschell. Periodically they’ve wanted to expand their fitness programs, health education services and hire more personal trainers – some requested personally by their largely professional clientele from Rockwall, Heath, Rowlett, Garland and Mesquite. But they couldn’t do it because the additions just didn’t fit within the highly-successful Larry North business model that’s been used for years in major metro areas, including Dallas and Houston. Now they can, however, because the Rockwall Larry North Fitness Club is now the new Eclipse Fitness Club, with Poe and Moerschell as its co-owners. The modern, brightly-decorated, spacious facilit, with huge rear windows overlooking scenic Lake Ray Hubbard, is on the first floor of the two-story office building between The Harbor and the I-30 bridge. 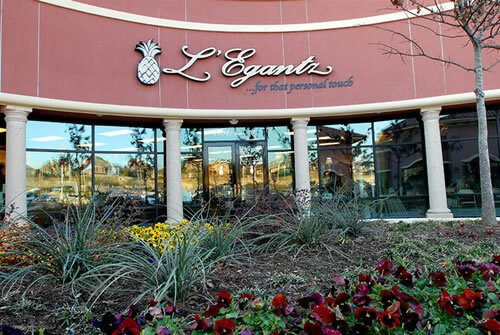 According to the new owners, club members can now look forward to an even wider array of fitness programs, receive even more health, fitness, weight loss and nutrition education, plus be able to continue to work out with some of the most educated and most experienced personal trainers in the area. They also plan to become much more involved with the community in Rockwall. After the initial excitement dies down, will Shenaniganz make it? So far, so good. The spacious parking lot is frequently full. It will be very interesting to see if, after the initial excitement dies down, Shenaniganz will actually make it in the Rockwall area as a business venture. The owners have certainly spared no expense in providing Rockwall with quite an upscale destination, not just for kids’ birthday parties, but also for adults. It easily compares with Dave & Busters, which seems to have done pretty well over the years. But D&B is in Dallas, where thousands of dinks (double income, no kids) are searching for hot, new places to go every night. Shenaniganz is located in conservative, family-oriented Rockwall. There is a difference. Now that the initial glitz about The Harbor is over, already several businesses have had to pull out there. There simply aren’t enough customers during the week to keep some businesses afloat. 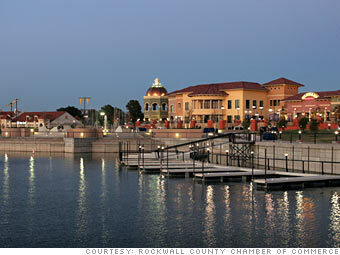 Perhaps someday ‘Ganz and The Harbor will advertise “Rockwall-by-the-Lake” together as an upscale destination. What do you think? Will Shenaniganz make it – over the long haul? The Rockwall City Council voted 6 to 1 Aug. 16 to approve the hiring of an architectural firm to begin developing a master plan for the the Hill above The Harbor. According to City Council member Glen Farris, who wrote the story on his new blog “Rockwall Talks,” the hill is considered the most important undeveloped land in Rockwall, if not the entire metroplex. The Council approved Talley and Associates, after the firm was recommended by a subcommittee comprised of Farris, Mayor Bill Cecil, and Council member Margo Nielsen after an extensive selection process during which five firms were considered. “Talley and Associates will go through a fairly extensive process in order to identify the best mixed use recommendation for this piece of land,” wrote Farris. “This process will be developed through brainstorming with the City Council and staff as well as working with a team of individuals, including a marketing firm and architectural firm, in order to arrive at the best concept plan proposal for development of this site,” he added. For more details, visit Farris’ blog Rockwall Talks.